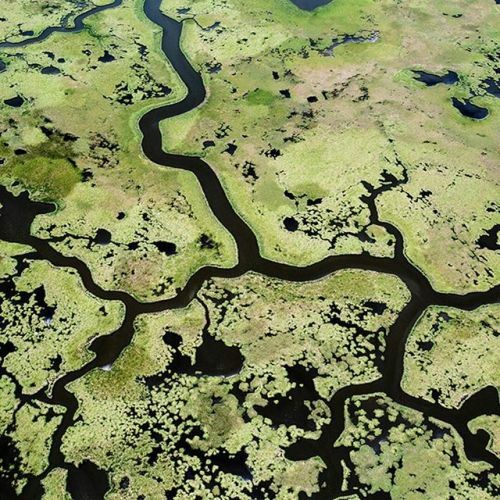 “Eroded #wetlands seen from a helicopter near Golden Meadow, #Louisiana. In the last 80 years, Louisiana has lost 1,900 square miles of its coastal wetlands, a land mass roughly the size of Delaware. But in the 10 years since Hurricane Katrina, the losses have overshadowed the steps being taken to restore the land. @misterwidmer took this photo while on #nytassignment. Follow him to see more photos from Louisiana.” By nytimes on Instagram.